Captain Madeline Raster attended Saint Joseph High School, mere minutes from Notre Dame's campus in South Bend, Ind. 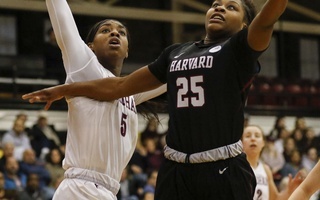 The season for Harvard women’s basketball will have no “wading in” period. The Crimson do not have an exhibition or soft matchup to start the year with its feet firmly planted. Far from it, in fact, as Harvard will be travelling to South Bend, Ind., for its first game of the year, taking on the Notre Dame Fighting Irish — the number one team in the country. Notre Dame is not only ranked the best team in the country, but it is ranked as such unanimously. The Fighting Irish received 31 of 31 possible first place votes in the AP Preseason Poll. The reigning national champions return a number of stars, most notably senior guard Arike Ogunbowale. The senior was the Most Outstanding Player of Notre Dame’s tournament run, hitting game winning shots just before the buzzer in the semifinal and final game to give the Fighting Irish victory. 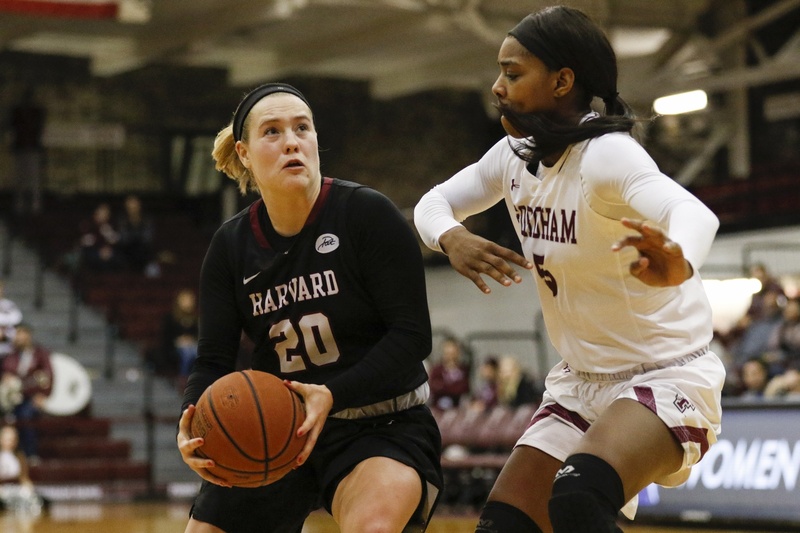 Despite its formidable opponent, Harvard sees its opening test as preparing for the first game of the season in any year. These possessions will often fall on Benzan, the Crimson’s point guard and its top scorer from last season. Not only did she set the pace for the offense with ball-handling, but Benzan also set Ivy League records last season from behind the arc. Moving inside, Harvard will hope to capitalize on the gained experience of its inside players. Junior forward Jeannie Boehm and sophomore forward Jadyn Bush will be joined by sophomore forward Maria Guramare, returning from a missed season due to injury. The Crimson will be led by two captains that round out the frontcourt, however, in senior guards Sydney Skinner and Madeline Raster. For Raster, the road trip to Notre Dame doubles as a homecoming. The South Bend, Ind., native attended the local Saint Joseph High School, less than two miles away from the Fighting Irish’s campus. Suiting up for her final season and kicking off her farewell tour back home means a lot to the Northern Indiana native. It is no doubt that Notre Dame is the best, and it will take Harvard’s all in order to have a chance at competing against the Fighting Irish. The team has worked hard in the offseason, but preseason practice can only prepare a team so much for the real start of the schedule. The 2018-2019 schedule starts with a bang, but the road test is just the sort of competition that the Crimson are looking for. — Staff writer Joey Minatel can be reached at joseph.minatel@thecrimson.com.